Mo Music - What is Kids Sing? After exploring music in our Music Together classes, children ages 3.5 through 7 years of age are invited to move up to our Kids Sing program where children attend class without their grownup! This is an important next step as children are ready to participate in a more structured environment while still enjoying a variety of activities including singing, playing instruments, and musical games. 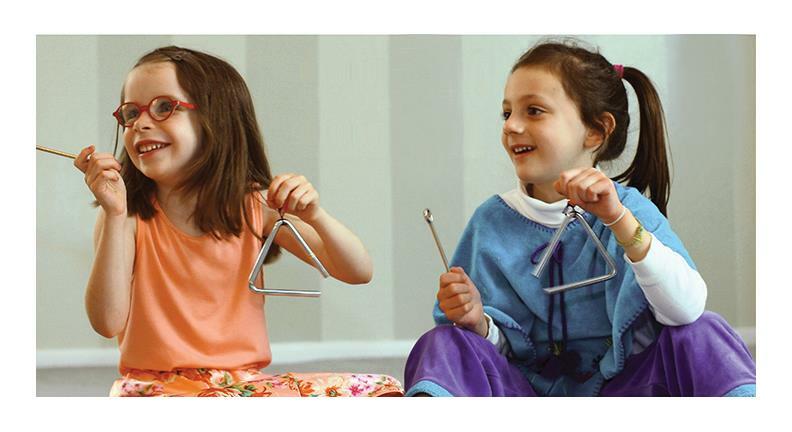 Based in the Kodaly methodology, students begin to read basic music notation in a fun and accessible way. Musical games with lots of opportunity for solo singing help children to further their musical development. • A group of children exploring musical concepts through circle singing games, dancing, chants, improvisation, and instrument play. • A Kodaly-based program that instills a love of music while teaching basic music literacy. • An age-specific, sequential approach for learning the language of music. • Developing the musical ear through singing a rich repertoire of folk music. • Building skills in sight singing and ear training through solfege (do re mi) and rhythm syllables. • Reinforced with a CD and songbook so children may practice at home.